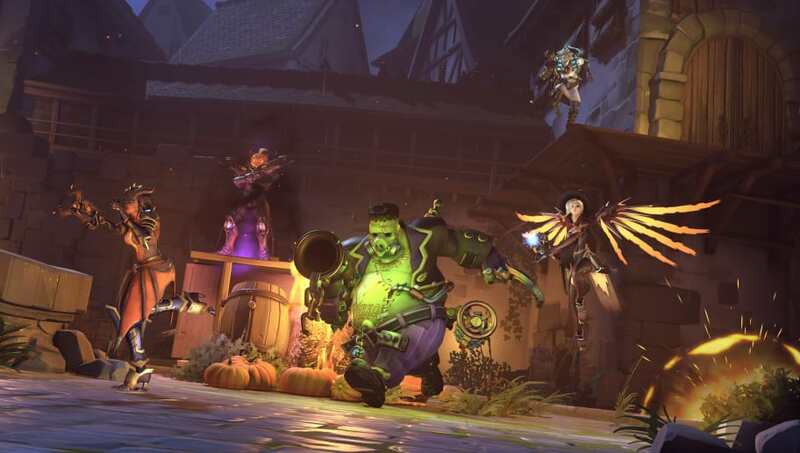 The Halloween Terror lore names for Brigitte and Tracer, who are now playable heroes in Junkenstein's Revenge, were revealed by Overwatch lead writer Michael Chu. Tracer is the Will-o'-the-wisp and Brigitte is the Shieldmaiden. ​​Brigitte is the Shieldmaiden in the lore of Junkenstein's Revenge, and Tracer is the Will-o'-the-wisp, according to Chu. Both heroes are the ​newest playable characters that players can select while playing the event mode. The lore of Junkenstein's Revenge is narrated by Reinhardt as ​Overwatch players participate in the match. A group of four players must protect the castle of Adlersbrunn, an area of Eichenwalde specially reskinned for the event, from Dr. Junkenstein (Junkrat), his zomnic creations, and Junkenstein's Monster (Roadhog), the Reaper (Reaper), the Witch of the Wilds (Mercy), and the Summoner (Symmetra). The heroes players can use to protect the doors are the Gunslinger (McCree) the Soldier (Soldier: 76), the Archer (Hanzo), the Alchemist (Ana), the Viking (Torbjörn), the Monk (Zenyatta), the Swordsman (Genji), and the Countess (Widowmaker) in addition to the newly added Shieldmaiden (Brigitte) and the Will-o'-the-wisp (Tracer).